Looking for a free VPN that works with Netflix? 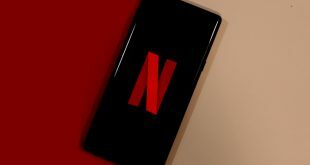 Well, in January 2016, Netflix announced it would begin blocking VPN aka Virtual private network, that allowed customers outside the United States, to watch American Netflix. Fast forward one year; most paid VPN services are no longer working on Netflix, let alone a free one. 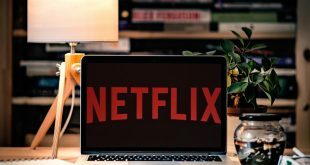 Although Netflix doesn’t reveal exactly how it block VPNs, in general, they block IP address associated with hosting providers commonly used by VPN providers. Which means, even if you setup a VPN on Digital Ocean and try accessing Netflix over that, you still won’t be able to circumvent geo-restrictions on Netflix. There are a couple of blogs that recommend using chrome extensions like Hola, or Tor browser etc, but after testing them, I found out they don’t, so you don’t have to waste time on them. 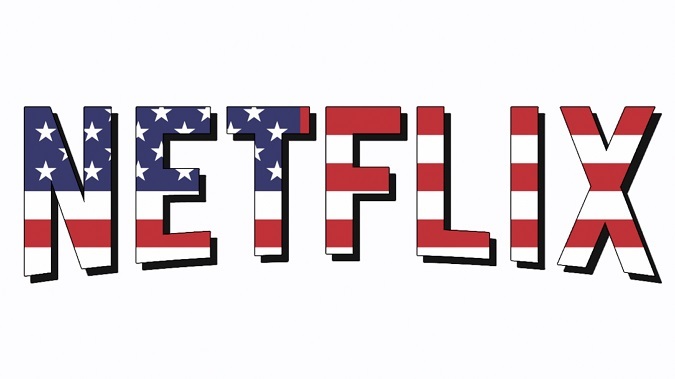 Fret not, there are a couple of free VPNs and proxy service that still works for Netflix. Although don’t expect them to be reliable. Remember you get what you pay for, no free service can be as good as paid one. But overall it can get the job done. So, let’s check them out. None of the following free VPNs are reliable, sometimes they work, sometimes they don’t. However, at least one fo the following, always seems to be working. 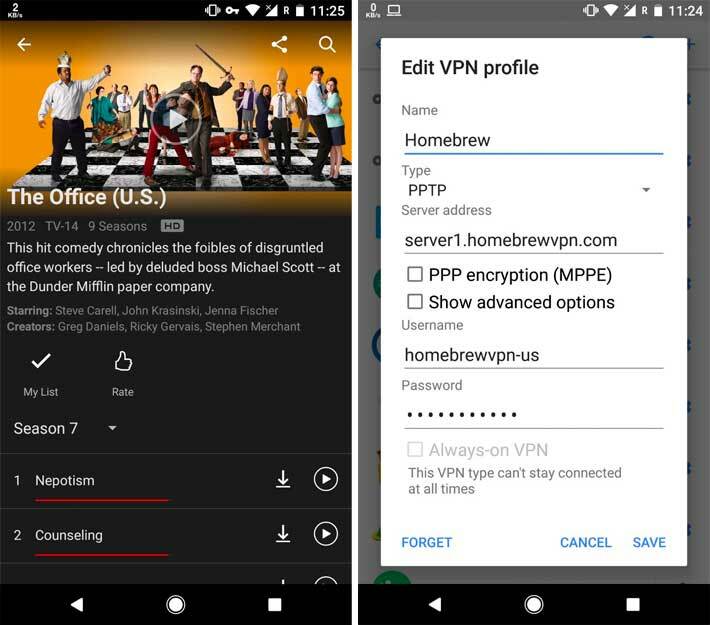 HomeBrewVPN is a little-known free VPN that works with Netflix and lets you watch major video and audio streaming websites that are available only for USA viewers. This means with HomebrewVPN you can get US Netflix and music streaming service like Spotify or Pandora no matter what part of the world you live in. Unlike other VPN service, homebrew does not have a dedicated application, which means you’ll have to manually setup a VPN on your devices. To get started, you’ll have to manually setup a VPN on your device. Each device has a different way of setting up a VPN, you can Google that. But in a nutshell, it’s just like login to a server i.e. – specify the server URL and enter the username and password. You can find more information here. Create a VPN server and enter the following details. PPTP users: No encryption or 40-bit encryption or 128-bit encryption is supported. The free version of Homebrew works fine, though it’s limited to 512 kbps; means it’s good enough to stream Netflix at 244p to 480p. While testing it for a few days (last check on July 2018), it worked on my Android (if you have a problem connecting, try restarting your device) but it didn’t work on macOS. And as seen from the people comment on Reddit, it stops working every once in awhile. Can’t expect much from a free solution. Ultrasurf is a popular tool for bypassing blocked websites. Unlike other VPN in this list, Ultrasurf is a proxy, a proxy is just like VPN in most cases but without an encryption. The setup is simple. Just download Ultrasurf Chrome extension and turned it on. It doesn’t require any login or software installation. Once installed, go to Netflix and search for ‘The Office (US)’ if you are not the US and still able to watch this show, this means, you have successfully bypass country restrictions on Netflix. It was developed to get around the so-called Great Firewall of China. However, some people doubt its authenticity since it server are the US. Ultrasurf is definitely not reliable but for the most part, it works fine for Netflix from the desktop. 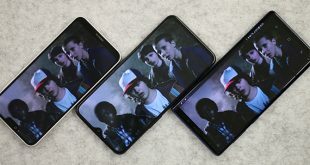 The video quality was bad all the way, and, it also didn’t work on Android devices. NordVPN is one among one of that few VPNs that still works for Netflix. And while it’s a paid service, they do offer a 3 free trial which requires no credit card. However, it does require a valid email address (temp email address doesn’t work). After the 3 days trial, it’s $12 per month if you get the monthly plan or $5 per month if you pay for a whole year. The free version does slow down your connection though, for instance, I got 2 Mb/s down and 0.8 Mb/s up, on my regular connection of 8Mb/s up and 8 Mb/s down. I tried the free version of NordVPN on macOS and Android, and it worked fine. The setup is pretty simple, create a free trial account, download and install the client, and switch to a specific country. That’s it. Now, you’ll be able to bypass country restriction on Netflix. Surprising they also support torrents. After a few unsuccessful attempts, NordVPN finally worked on my macOS. Also, the video quality was too low. I’m not sure if it’s because of free account or it’s just like that. On Android, it didn’t work even after multiple trials. I mean, it was able to detect US catalog, but when you click on the title, it didn’t play the video. Even after restarting the device or trying a different device. Another better alternative is to use SmartDNS like – Smart DNS Proxy. Smart DNS, unlike a VPN, doesn’t change your IP address or encrypt your traffic which means your video streaming will be a lot faster. And the best part is, if you can set up Smart DNS Proxy on your Router, every device that’s connected to your router, will automatically circumvent geo-restrictions. There is no need to manually set up on each device. Setting up Smart DNS Proxy is a bit complicated compared to a VPN. To use their service, you need to change the DNS server of your Computer, Smartphone or your router to that of Smart DNS Proxy DNS’s servers. You can find the setup video tutorial of each Operation System on YouTube. Smart DNS Proxy is not exactly a free VPN that works with Netflix, it’s a paid service. However, we still include in the list, because of it’s 14-days free trial. There is no credit card required either. So, if you are looking to watch a new Netflix original for a week or two, you can try Smart DNS proxy for 2 weeks for free. After the free trial, it’s $5 per month. So, these were some free VPNs to bypass Netflix geo restrictions. 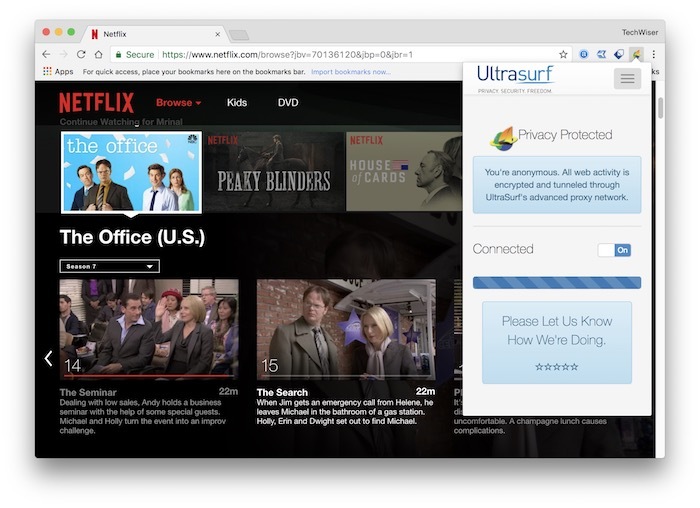 If you are on mobile, you can go with Homebrew, on desktop browser Ultrasurf works reliably and if you are planning a vacation and wants to save Netflix shows for offline, then get the Nord VPN trial version. Though, it goes without saying that none of these free methods are reliable. The best solution in long run is to get a paid VPN like NordVPN or ExpressVPN which apparently is working fine for Netflix but also quite expensive at the same time (around $15 per month). Smart DNS proxy is also another good option. Related: SmartDNS vs VPN – What’s the Difference?